Chapters cover: Selection, housing, diet, health, breeds, exhibition, breeding, history. Color photos. 64 pgs. Dwarf & mini varieties. Chapters on: Housing, feeding, handling, exhibiton, health, breeding, breeds. Color photos. 64 pgs. Facts, advice and fascinating insights to tell you everything you need to know about purchasing, care, feeding, housing, safety, breeding, and understanding guinea pig behavior & body language. Color photos. 161 pgs. Chapters on: As a pet, varieites & colors, buying, housing, feeding, ailments, training, breeding. Lots of Color & B/W photos. 93 pgs. Chapters on: As a pet, varieites & colors, buying, housing, feeding, ailments, training, breeding. Lots of Color & photos. 127 pgs. Basic information & commonsense advice on selecting, purchasing & caring for guinea pigs. Handling, health care, housing, feeding, choosing. Color photos. 64 pgs. Purchasing, housing, handling, feeding, health, babies, breeds, colors. 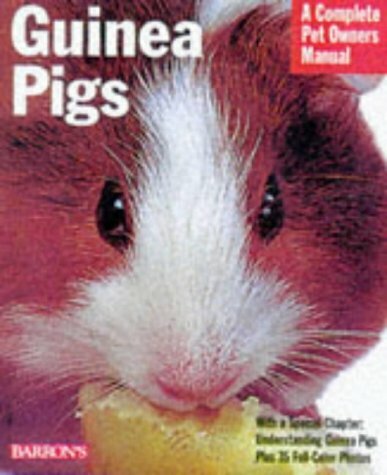 This volume dispels the notion that guinea pigs are stupid and uninteresting. Covers understanding the animal's behavior as well as purchasing, care, diet and diseases, all essential for ensuring a pet's long and healthy life. 17 color photos and 35 black and white drawings. 80 pgs. Everything you need to know to get started. Covers: choosing a guinea pig, housing, hutch design, feeding, bedding, age, variety, health, breeding, sexing, record keeping, and more. Filled with color photos. 95 pgs. Covers: buying, housing, bunnyproofing your home, handling, housekeeping, grooming, reading bunny body language, trust training, outdoor training, keeping it healthy, & traveling. 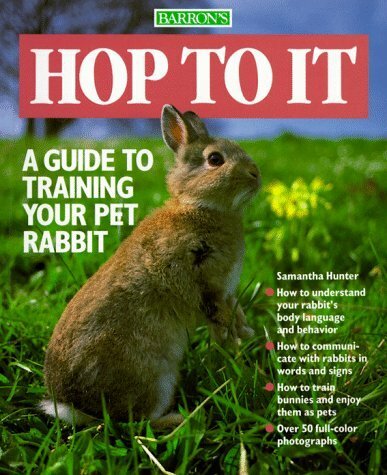 With special sections on: how to understand your rabbit's body language & behavior; how to communicate with rabbits in words & signs; how to train bunnies & enjoy them as pets. Over 50 color photos. 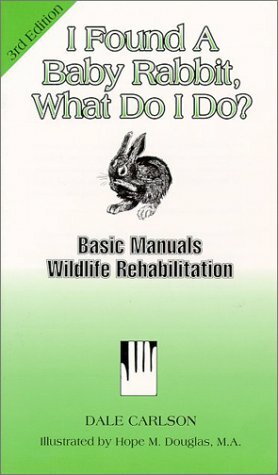 80 pgs..
How to live with an urban rabbit. How to live with an urban rabbit. Recent ideas from many rabbits, their owners & their doctors. B/W photos. 96 pgs. Rabbits are a wonderful animal to raise as a pet or as part of the livestock on a farm. They are a great starter animal for children who participate in 4-H or other rabbit shows. 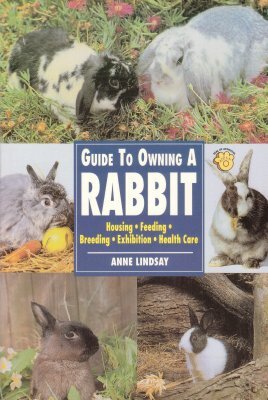 This book will detail information on raising animals in both urban and rural situations, breed types, housing and food requirements, and general health care for the rabbit. 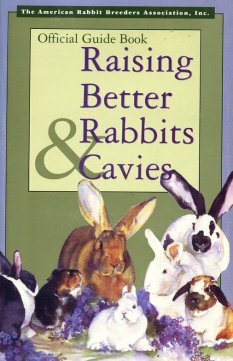 The book will help you determine what rabbit breed will best suit your needs and inform you of what you need to know to keep your rabbit happy and healthy. Advice on showing your rabbit will also be included. Color photos. 192 pgs. History & origins of the domestic rabbit, housing & equipment, starting, management, breeding, genetics, breeds, showing, ailments & diseases, & addresses of the National Bodies of the Rabbit Fancy. B/W photos. 160 pgs. 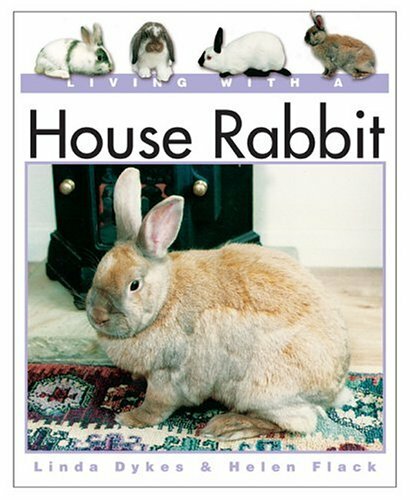 This book covers every aspect of house rabbit ownership and care. 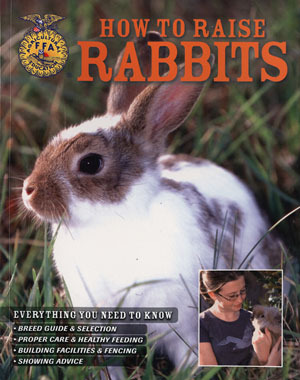 It includes a nose-to-tail health guide to ensure that the rabbit remains fit and healthy. It looks at the rabbit's wild ancestors & how domestication has affected this popular pet, then it moves on to give advice on choosing a house rabbit, making your home bunny-friendly, & getting thru the first days of ownership. Includes guidance on grooming & exercise along with a comprhensive chapter on feeding. Written especially for new and soon-to-be pet owners, these pet manuals are outstanding in appearance, filled with eye-catching sidebar advice and handsome color photos. 128 pgs. As a pet, breeds, selecting your lop, handling, housing, diet, grooming, housebreaking, harnessbreaking, tricks, showing, health, breeding, care of mother and young, weaning, tattooing, pedigrees, shipping, zoning regulations. Over 100 color photographs. 192 pgs. Chapters cover: Purchase, care, feeding, health, breeding, understanding behavior, housing. B/W illustrations, Color photos. 133 pgs. 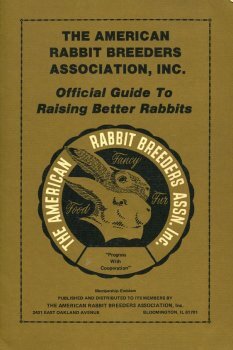 Covers rabbit history, husbandry, nomenclature, breeds, sexing, fur, meat, raising, color, diseases, housing, recipies, keeping records, & a glossary. B/W photos. 200 pgs. 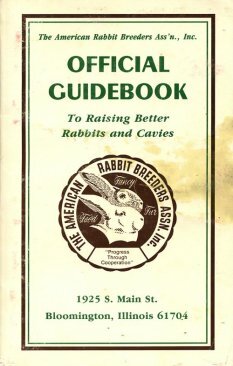 Contains articles, written by experienced breeders, that cover such matters as: History of the ARBA, Youth, breeds of rabbits and cavies, rabbits and cavies as pets and hobbies, exhibition, conditioning, husbandry, health, diseases, commercial rabbit raising, wool production and more. B/W photos & illustrations. 192 pgs. Contains articles, written by experienced breeders, that cover such matters as: History of the ARBA, Youth, breeds of rabbits and cavies, rabbits and cavies as pets and hobbies, exhibition, conditioning, husbandry, health, diseases, commercial rabbit raising, wool production and more. B/W photos & illustrations. 254 pgs. This book is a collection of questions asked over the years, from the begginner to the advanced rancher. It contains more than 600 questions & answers on Angora rabbits. This book can be used as a reference guide any time you may need answers to your questions. 119 pgs. Origins, selection, breeds, hygiene, basic care, feeding & exercise, housing. 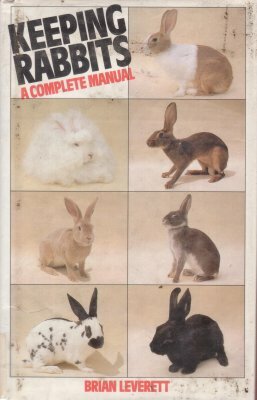 This superbly illustrated guide is an indispensable handbook for the caring owner, providing tailormade advice on keeping the dwarf rabbit as a pet. Learn all about choosing a pet, housing, feeding, breeds, breeding, and health care. Color photos. 80 pgs. History, in your home, choosing, housing, diet, family, housebreaking, health care. Color photos. 254 pgs.